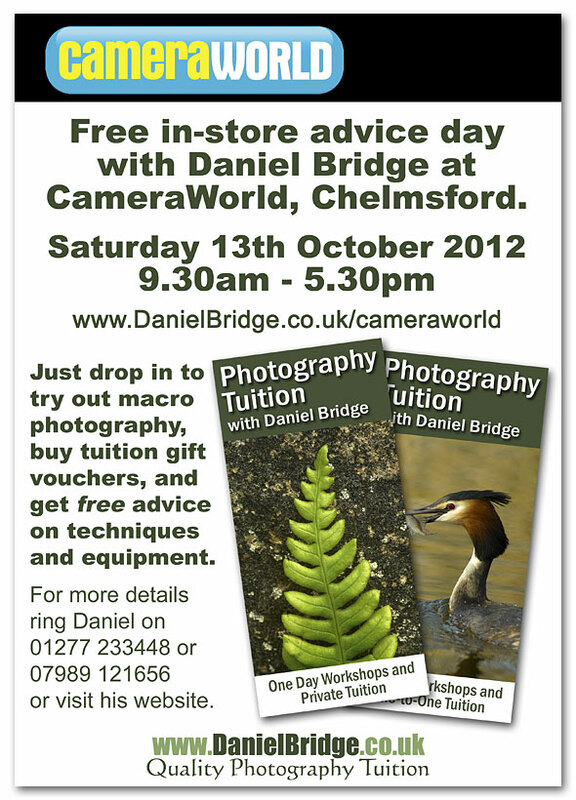 I'm running another Free Photography Advice Day at Cameraworld, Chelmsford, on Saturday 13th October 2012. You can drop in at any time to ask me anything about techniques, equipment, composition, or even porridge. The day runs from 9.30am until 5.30pm, and you can find out more here.